With over 8 years of experience restoring residential and commercial buildings, we are the preferred vendor for many insurance companies in the Round Rock, TX area. Our technicians are also IICRC certified. To find your commercial building left in a critical condition from a fire, flood, sewer backup, or other natural disaster can be a nightmare. 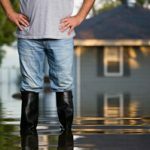 To find your assets and property covered in water, soot and smoke, or mold, can be hard to accept; but it is imperative to call for emergency help right away. ServiceMaster Restoration by Century provides 24/7 emergency commercial restoration services in the Round Rock, TX area. Our technicians are experienced and trained to handle all forms of damage and restore the affected surfaces to their original conditions. We will also remove any odors, mold, biohazards, and other dangerous substances to ensure that you and your tenants or staff return to a safe and healthy environment again. Water damage is a problem that almost all homeowners face at some point because it can be caused by natural floods or rain as well as leaking appliances, burst pipes, or sewage backups. The damage caused by excess water can quickly spread as most building materials are porous. As more water gets absorbed, the affected materials become weak which leads to warping or structural damage as well as the potential for mold growth. ServiceMaster Restoration by Century provides water damage restoration services to remove excess water and restore the resulting damage for homes and businesses in Round Rock, TX. We work quickly to contain the spread of the water while using advanced equipment to ensure that all affected areas are completely dried. Fires almost always happen with no warning and they can quickly engulf homes and buildings, leading to extensive, potentially permanent damage. When a fire occurs, evacuating the home or building and ensuring that everyone is safe is the top priority. As soon as the fire is out, you must immediately focus on the restoration as the byproducts of a fire such as soot and other corrosive elements will continue to cause further damage. ServiceMaster Restoration by Century provides complete fire damage restoration services to restore and rebuild homes and businesses in Round Rock, TX that have been damaged in a fire. Our technicians will stop the spread of corrosive byproducts to prevent further damage and we are also properly equipped to rebuild severe structural damage. While it can start small, mold can spread quickly, covering multiple areas of homes and buildings if not treated right away. Derived from untreated water damage, such as leaks, flooding, and excess humidity, it has the ability to feed off of organic materials, devouring the structure to cause severe damage. The spores it disperses are also dangerous to humans and pets, causing severe allergic reactions, respiratory issues, and even cancer in the long-run. If you are suspicious of mold on your property, make sure to reach out to a professional right away. ServiceMaster Restoration by Century is available in Round Rock, TX to provide professional mold remediation services for homes and buildings. Our products are designed specifically to eliminate mold at the source while preventing it from returning in the future. Our technicians are also IICRC-certified to ensure your peace of mind, even working with your insurance provider during the claims process. You never know when you may be faced with a situation involving a death or serious injury on your property as these things can happen at any time. The scene of a violent crime or major accident is as dangerous as it is traumatizing. Blood, bodily fluids, and other biohazard materials can also cause disease or infection to those coming into contact with the materials. 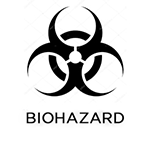 Therefore, a licensed professional must be contacted immediately to remove biohazard materials and restore the scene. ServiceMaster Restoration by Century provides trauma scene cleaning services to clean and disinfect the scene of a serious injury or death in Round Rock, TX. Our technicians will ensure that the scene is completely cleaned and disinfected as we also treat those who are mourning a loss with a sense of compassion. Sometimes sewage water can end up in a home if there is a sewage backup or a major flood that mixes with sewage before it enters a home. Flooding containing sewage is especially dangerous as it contains human waste, bacteria, and other contaminants that can cause major health problems in those that are exposed. Therefore, it is important to have a trusted professional remove sewage water from your home or building immediately. ServiceMaster Restoration by Century provides sewage cleanup to safely extract sewage water from homes and businesses in Round Rock, TX. Once the sewage water is removed, we will thoroughly clean and disinfect the entire affected area. Carpeting is one of the most widely used flooring types in homes and commercial settings as it adds to the décor and aesthetics of a room. However, carpeting can become worn out or dirty faster than most flooring types as the fibers trap dirt and debris that is tracked in from the foot traffic. This buildup of dirt and debris then affects the appearance and lifespan of the carpet as it leads to discoloration and even deterioration of the fibers. However, ServiceMaster Restoration by Century provides professional carpet cleaning services to thoroughly clean and restore residential and commercial carpeting in Round Rock, TX. We will effectively lift stains and remove embedded debris from your carpeting using our advanced cleaning products and equipment. The heating and cooling within a home or building is important for controlling the climate and creating a comfortable indoor environment. As important as this is, the HVAC system does not usually receive adequate maintenance or attention unless there is a problem. A constant buildup of dirt and debris within the air ducts from daily use can eventually cause the HVAC system to work less efficiently. This then increases the risk for breakdowns and in turn raises your energy bills. 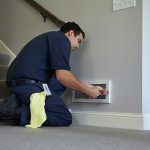 However, ServiceMaster Restoration by Century provides professional air duct cleaning services to remove built up debris from the HVAC system in homes and businesses in Round Rock, TX. Our services will boost the efficiency of your heating and cooling to lower your energy bills while preventing expensive breakdowns. Knowing how to proceed when experiencing a large property loss or natural disaster is crucial in order to save you time and money in repair costs in the future. As soon as you notice the damage, you must call a professional repair company right away. ServiceMaster Restoration by Century is available in Round Rock, TX to provide emergency reconstruction services to both residential and commercial properties of all sizes. Our team of professionals have years of experience in effectively repairing the damage. 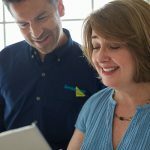 Upon arrival, they will quickly stabilize the condition of the home in addition to developing a custom plan that is guaranteed to have it restored as quickly as possible. 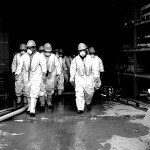 We are also able to restore any damage caused by fire, water, smoke, or mold as we specialize in disaster restoration. Ultimately, you won’t have to worry about hiring multiple companies as we handle all aspects of the work. We will also work with your insurance provider to expedite the claims process. Are you afraid to hire a water damage restoration service because of the high cost? ServiceMaster Restoration by Century knows that many property owners face this issue when dealing with water damage, which is why we offer the ability to rent our equipment for those living in the Round Rock, TX area. Within this program, we offer 3 different packages with different levels of additional services to make the restoration of your property more efficient and effective. 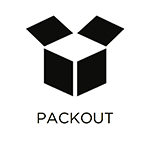 Our professional technicians can also provide you with a recommendation based on an initial inspection as well as being available to answer your questions, address concerns, and upgrade your package along the way. Finally, you will be able to fully restore your property without having to write a huge check at the end of the service. In order to continue the ongoing quality and efficiency in our restoration services, ServiceMaster Restoration by Century is more than happy to coordinate during the insurance claims process in order to provide additional convenience for our customers. However, we have also found that we can increase the quality of the insurance services by offering CE classes for the agents and adjusters. 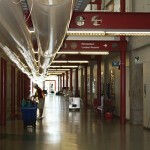 By providing them with inside knowledge of our restoration services, they are allowed to better serve their customers. Within these classes, a variety of topics are covered, including: water damage repair, fire damage cleanup, mold removal, new technology, and more. With these classes, we have also been able to increase the efficiency of our own services, allowing the customer return to their property in a timely manner. However, space is limited for these classes as a result of increased popularity; therefore, it is highly recommended to register as early as possible. In Round Rock, TX, there are a number of individuals who suffer from hoarding tendencies. 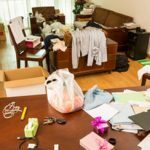 Because of the psychological factors involved in hoarding situations, we provide compassionate hoarding cleanup services here at ServiceMaster Restoration by Century to assist homeowners through the sanitization process. By building a relationship and working directly with hoarders, we have seen tremendous results. We even help affected individuals learn to manage their conditions more effectively by leaving behind a custom cleaning plan for them to follow, and then periodically checking in. In Round Rock, TX, there are a number of events that can result in damage to your building and belongings. At ServiceMaster Restoration by Century, we provide content cleaning and pack-out services to give your items the greatest odds possible of being fully restored. Our technicians are among the best in the industry when it comes to salvaging damaged belongings (such as furnishings, important documents, business equipment, family photos, etc.). Through our services, we will repair, sanitize, and deodorize these items either on-site, or at one of our climate-controlled facilities.